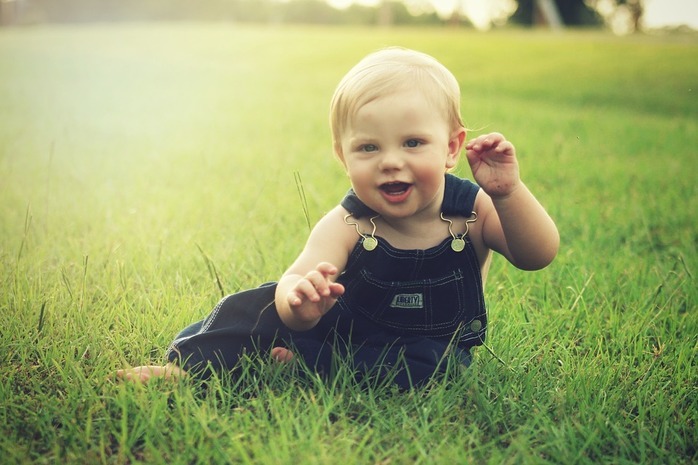 Hot weather can be dangerous for babies as they are easily affected by the heat. They need to drink frequently, wear light clothing and be kept cool. The following article provides some advice and tips on helping you baby stay comfortable during hot weather. Playing in a small children’s pool is a good way to keep your baby cool. Keep the pool in the shade during hot weather and never leave your baby unattended near any amount of water. Monitor your baby’s temperature at all times; if you notice any blueing of the lips, hands or feet it’s time to get out. A cool bath before bedtime is not only beneficial to keep your baby cool, it is a relaxing part of a good bedtime routine and can promote better sleep for your baby. Ensuring your baby’s room is kept cool by utilising blinds or curtains or a fan to circulate air in the room will help your baby maintain a comfortable body temperature. Air conditioning should be set to a temperature between 22 and 24 degrees Celsius. Keep nightwear and blankets to a minimum. Always adhere to the SIDS safe sleeping guidelines when covering your baby for sleep. You can view the SIDS guidelines here. Babies less than 6 months old should be kept out of direct sunlight for longer than absolutely necessary. Their skin is extremely sensitive and does not contain enough of the pigment, melanin, which provides some protection from the sun. Older babies and children should also have their time in the sun limited a much as possible, particularly between the hours of 10:00-14:00 when the sun is at its strongest. 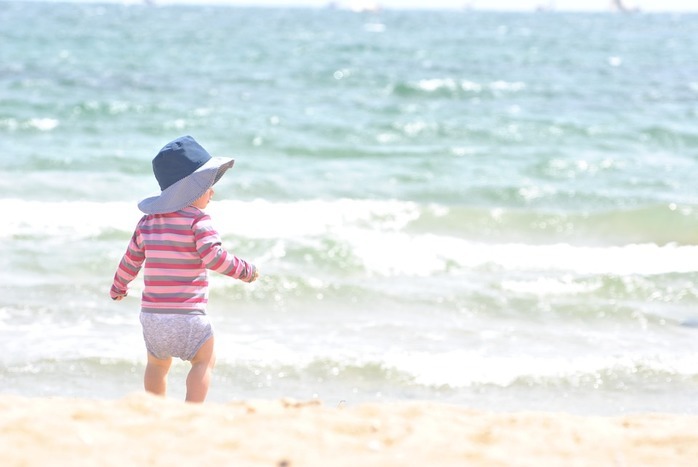 Cover your baby’s body, arms and legs with clothing, and make sure you use a hat with a wide brim or a long flap at the back to protect their head and neck from the sun. If you go out when it is hot you should attach a sunshade to your pram to keep the direct sunlight off your baby. Be careful using non-certified pram covers as these may not be compliant with national safety standards and could cause more harm than good by restricting air flow to your baby. Most importantly you should apply a sunscreen with a sun protection factor (SPF) no lower than 30 to your baby prior to any activity outdoors. Many brands of sunscreen produce a product designed specifically for babies and young children that is gentle enough to use on their skin. Sunscreen should be applied regularly throughout their exposure to the sun, particularly if your baby is in and out of water. Babies need to drink plenty of fluids to avoid becoming dehydrated. One way of keeping track of your child’s hydration levels is to count the number of pale wet nappies produced per day. On average most babies produce six to eight wet nappies per day. If you are breastfeeding your baby, you don’t need to give them water as well as breast milk however they may want to feed more regularly to maintain hydration. If you are bottle feeding, as well as their usual milk feeds, you can give your baby cooled boiled water throughout the day. 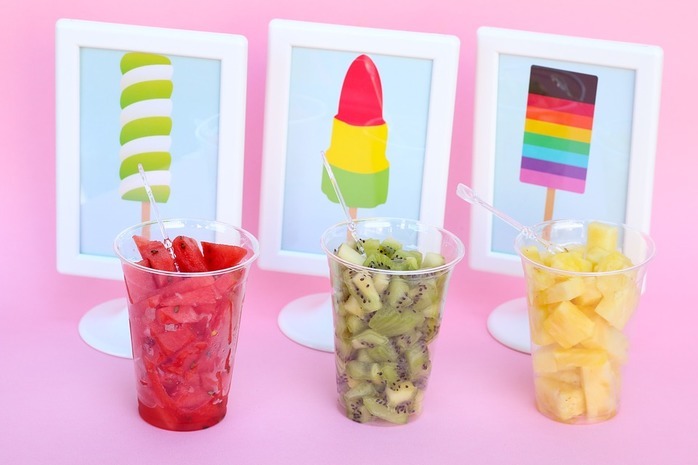 Water is best, however if your child is taking solids, you could be creative and offer frozen pieces of orange, banana, pineapple or similar for them to eat. •	Babies should be kept in a cool, shady place. If they need to be outside, you could cover their pram with a damp cloth without restricting air flow and dress them in cool clothing. •	Babies and young children should never be left alone in a parked car, even for a moment, and even when the car is in the shade. •	Babies are not able to tell you that they are thirsty, so it important that you give them extra feeds/drinks in hot weather. •	If your baby starts to be floppy or more irritable, this could be a sign of heat stress and you should offer your baby more feeds and take them to be checked by a doctor.